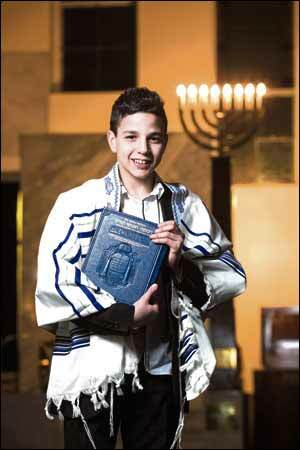 MANCHESTER City fan Benji Cummings certainly wasn’t singing the Blues when he was barmitzvah at Heaton Park Hebrew Congregation. The son of Andrea and David Cummings, of Whitefield, Benji, a King David High School pupil, is goalkeeper for Manchester Maccabi’s under-13 side. Joining in the celebrations were Benji’s sister, Hannah, 15, and grandparents Rosalind and Michael Isaacs, of Sunnybank.